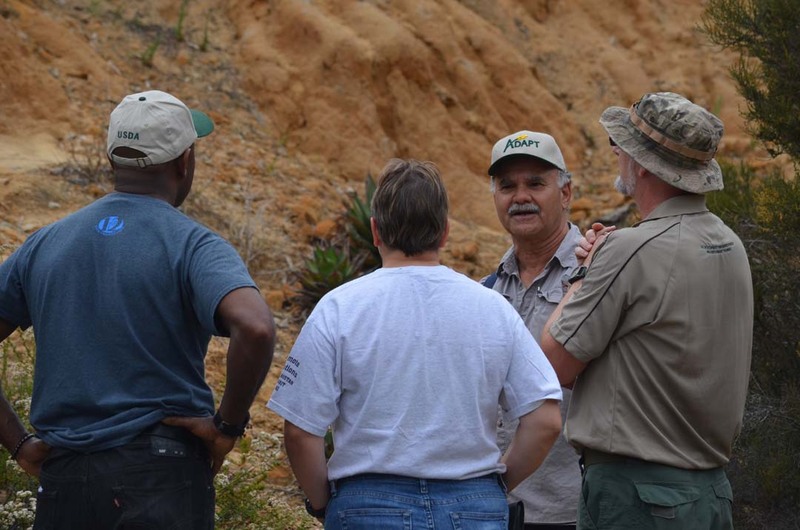 ENCINITAS — The San Diego Botanic Garden has served as the backdrop to countless peaceful walks and meanders, but earlier this month it also served as the backdrop for training military personnel as they prepare for deployment to countries in the Pacific Command (PACOM) region. 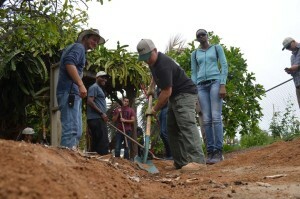 “It’s probably one of the few, if not the only place in the continental U.S. that has tropical fruit trees and tropical plants, as well as Mediterranean plants all in one place,” said Paul Sommers, project manager with ADAPT (Agricultural Development for Armed Forces Pre-Deployment Training), one of the founders of the program. Now a retired professor from California State University, Fresno where he helped develop the program about six years ago, Sommers said the military contracted the university to help grow service members’ understanding of farming and agriculture when deploying to Afghanistan. The need arose years ago when military officials in Helmand Province realized agriculture was an important part of the province’s activities, and also a source of conflict. “So they needed training in agriculture and the culture of agriculture in Afghanistan so that they would have more tools in their toolkit when working with civilians,” Sommers said. Today, with most troops out of Afghanistan, the ADAPT course has been made to, well, adapt. With the military’s shift now on to the PACOM, the ADAPT course still teaches service members that agriculture matters, though now with the goal to make them more effective primarily in terms of humanitarian and disaster relief. “Our course emphasizes stability through food security,” Sommers said. At the heart of the course material is how to prevent potential instability in a region through food security, learning how to stem hillside erosion so that the food system doesn’t collapse, recovery methods after a disaster — essentially, how does the military help get farming families back on their feet as soon as possible. Following the course, which is typically three to five days, service members, mostly in civil affairs commands, go back to their units where they could face deployment at any given time to respond should a typhoon or other natural disaster hit Vietnam or anywhere else that falls in the Asia-Pacific region of the PACOM. The course has trained more than 1,000 service members from around the country in the last couple of years, he said. Not a lot by military numbers, Sommers added, but then again, the course is done in smaller groups that allows for more hands-on training. Sommers, who lives in Encinitas and volunteers at the garden, has hosted training events with the Botanic Garden several times before. He holds degrees in both agricultural and nutritional sciences and spent 35 years working overseas in more than 55 countries. 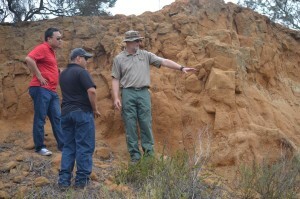 “I’ve had a lot of opportunities to work with farming systems in insecure areas, secure areas,” said Sommers. He said a number of the farmers he’s worked with overseas believe in resilience and stability. The garden volunteers its grounds to the training program. But the garden does receive some benefit, too, in the way of having some extra “yard work” done around the property. “The garden has always been pretty sensitive to the fact that here in San Diego County, the military is a big part of our population, active and retired,” said Julian Duval, president and CEO of the Botanic Garden. 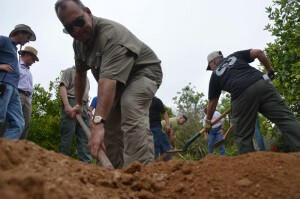 “This is probably the fourth or fifth time we’ve worked with ADAPT, providing the garden and the subtropical fruit garden, (that) has been where a lot of their training goes on,” said Duval. “It’s a real positive program,” he said. Staff Sgt. Michael Schilling, with the 353 Civil Affairs Command, U.S. Army Reserves based out of New York, was one of the service members taking part in the ADAPT course. He said he’s never used this type of training before on his deployments to either Iraq or Africa. “Iraq was an invasion and in Africa I was in an office,” he said. But the training he’s received, he said, he’ll take with him when he deploys to Africa again this December. “I’ll know what I’m looking for, ‘oh, they are farming,’ as opposed to driving a Humvee through and ruining it,” Schilling said. Showing that they understand the farming system, interact with the farmers and appreciate the systems is a big benefit, explained Sommers.